Here you will find useful free tools. MakeHuman is an open source AGPL3 tool designed to simplify the creation of characters using a Graphical User Interface. The MakeHuman project strives to provide a complete tool that allows for the management of all things needed to create realistic virtual humans. This includes some tools like poses, animation cycles, managing facial expressions, hair and clothes. Most of these tools follow a "point and click" approach by using the MakeHuman's Library. Via the MH library, users preview and load poses, animation cycles, facial expressions, hair, shoes and clothes onto their character. 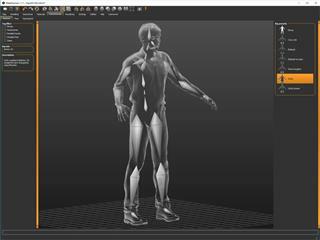 MakeHuman offers tools for exporting your virtual humans to other software, such as the Blender 3D modeling suite, where further refinements can be made. MakeHuman is developed by a community of programmers, artists, academics and enthusiasts interested in 3D computer models of human beings. Character Creator 3 Pipeline is a full character creation solution for designers to easily create, import and customize stylized or realistic looking character assets for use with iClone, Maya, Blender, Unreal Engine 4, Unity or any other 3D tools. It connects industry leading pipelines into one system for 3D character generation, animation, rendering, and interactive design. CC3 adds a highly optimized game character base for mobile, AR and VR developers. 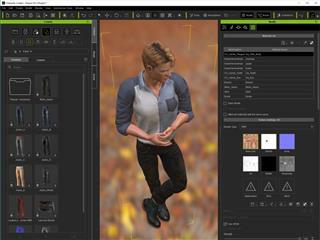 CC3 also integrates InstaLOD’s model and material optimization technologies to generate game-ready characters. 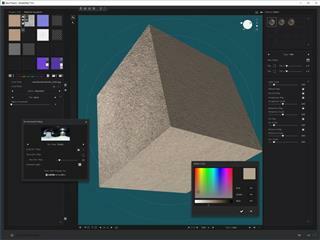 ShaderMap is an image texture and map generator for 3D artists. It enables artists to generate maps from source images, 3d models and light scan photo stacks. It provides a 3D interface for visualizing the generated maps on 3D models, it is called the Material Visualizer. This one provides an editor for configuring materials to apply to the 3D models. Last release, ShaderMap 4.1, now generates Metallic and Roughness maps and allows you to view them using PBR Materials in the Visualizer. This software can export any map to an external editor, batch process large groups of source maps, create unique configurations of maps, and is expandable with plugins and materials using an SDK. It takes full advantage of multi-core systems to produce sharp and detailed maps. There is also a free version for non commercial use.